Offshore Software Development – Amity IT Solutions Pvt. Ltd.
oftware development is a highly technical job. To develop software in-house requires time, skilled manpower, and expensive programs and equipment. Offshore development is a cost effective alternative to developing software in-house. Offshore software development and Offshore Programming the client’s intellectual property, proprietary software and new development specifications with very high levels of security. Clients retain full ownership of all intellectual property rights and software source code at the completion of the project. We develop dynamic, cost effective, and easy to use websites for companies around the globe. We are always ready to help small businesses establish or improve their image and web presence, but whether your company is large or small, we have the time, expertise, and creativity to be an integral part of your web marketing solution. 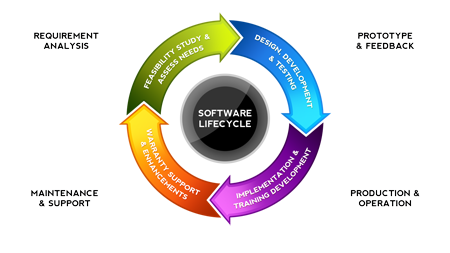 Offshore software development is synonymous with flexibility. When facing a large project but of short duration, you can use Offshore software programming to limit the number of new employees and administrative support personnel allows you to double the number of programmers you have access to and better yet, we are just a phone call away. Offshore software development offers another major advantage: independence. Most software vendors or investors cannot conduct independent analyses of their own or their competitors’ products not only perform development work but also can obtain the competition’s software for evaluation purposes for clients. This ability allows us to ask the questions you want answered and not disclose client identity. To sum it up: Offshore software development allows you to cut production costs without the need to compromise on either speed or quality. Your operation becomes adaptable to increasingly complex and rapidly changing business environment.